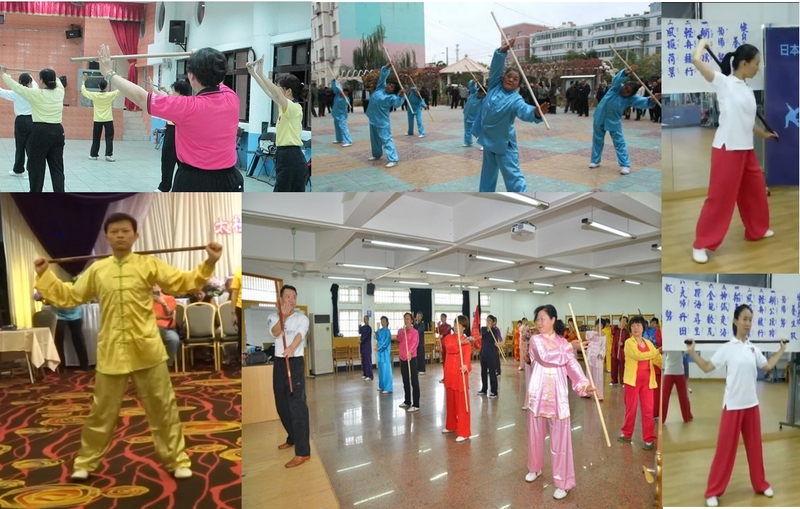 Whether Biangan or Taiji Health Preservation Stick, wand exercises are being practiced by an increasing number of people in China. If you want to use herbs to heal the body you could travel hundreds of miles around the country classifying and collecting plants. Then you could test them on patients to see what qualities they posses. Are they poisonous or beneficial? What ailments can they help? Fortunately generations of herbalists over hundreds of years have completed this time-consuming work. There is no need to start again and ignore knowledge from culminated experience. Exercise methods can have positive and negative effects, some obvious and immediate but others manifesting in the long term over decades or lifetimes. This is the reason I value Eastern exercise over Western; they have developed over many generations of refinement, experiment and observation. There are many stretching routines that use a pole, stick or broom handle. Its such a simple instrument that people can easily create all sorts of movements; some random, some unsafe, some effective, safe and beneficial. The Internet – and in particular Youtube – is awash with videos of exercise instructors who have created their own exercises using poles and broom handles. Are these movements safe and effective? We can only discover the best method by trial and error. Similar to herbalism, you can either start again and do the experimenting yourself or pick the brains of past generations. 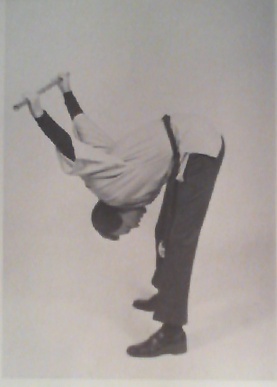 According to Bruce Johnson, who brought Jiangan (AKA the Chinese Wand Exercises) to the West, they were designed over many generations to eliminate unsafe movements and maximize efficiency. Although I did not have expectations when I started Jiangan my health and fitness improved in significant and tangible ways. The consequence is that although I am Hon. President of the Tai Chi Union for Great Britain I no longer teach or promote Tai Chi as an daily health exercise. 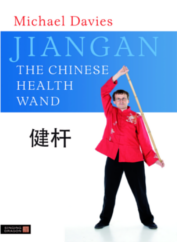 Instead I practice and promote Jiangan because it is a superior method of achieving and maintaining health and fitness. It is frustrating seeing people making up their own stick and wand movements. I urge them to make a study of the intelligent and efficient design of Jiangan before coming up with their own routines. Try Jiangan first and you will be rewarded. 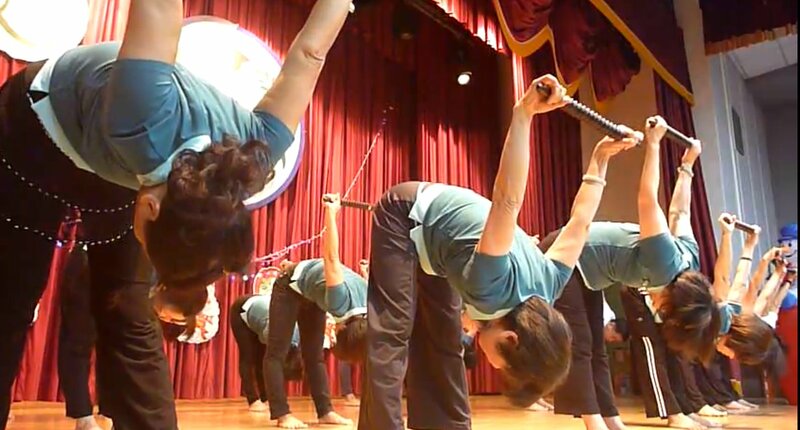 The three-foot wand of a traditional Qigong system in Taiwan uses techniques similar to Bruce Johnson’s lineage. Other techniques involve massaging and stimulating acupuncture points in the body. The wands are made in three sections that join together and are embedded with greenish-black spots of copper as described by Bruce Johnson. The routines in the following video are gentler and more in tune with the internal characteristics of Qigong than the other type of `Qigong wand‘ exercises practiced in Taiwan. Apart from the Taiwanese `Tai Chi Rod‘ system which involves massage of acupuncture points, there is another style that appears to be practiced by a good many people. 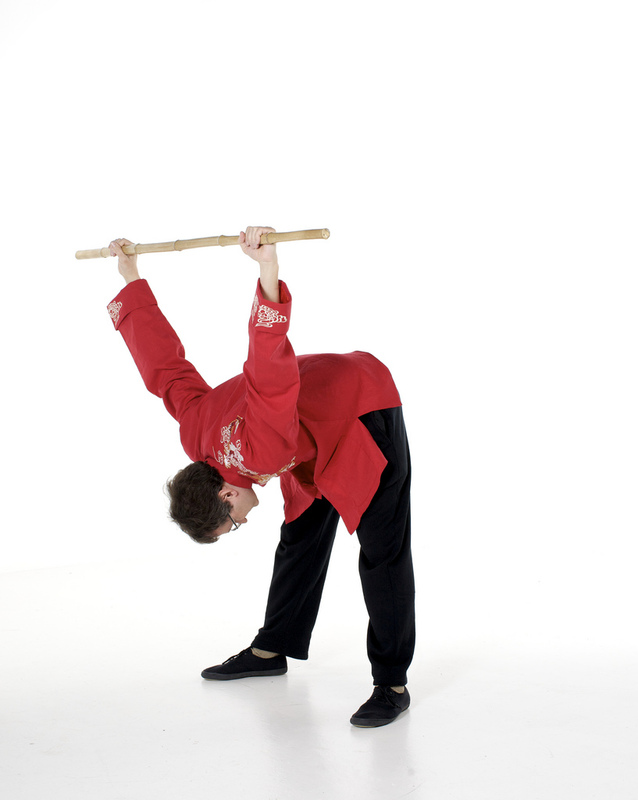 Although the videos below mention `Qigong Stick’ in the title and description the movements are performed quite fast and in a jerky rather external way, so breathing and leading the Qi can not easily be associated with this routine! However, there is something about the sequence and combination of movements that reminds me of Jiangan, even though the movements are not gentle or internal. The sequence holding the wand across the back of the shoulders has a combination reminiscent of `Twisting Snake’ but although they bend to each side they combine it was bends backwards and forwards with no twist. The wand is also shorter and grips narrower. It must be difficult to hold an manoeuvre it comfortably. The `Qigong’ label indicates that there is probably a history to the method and not something devised recently. The Taiwan systems may be variations of the ancient wand heritage. Perhaps in the past a wand master was observed and the movements copied without the internal elements which resulted in a very brisk and physical exercise.